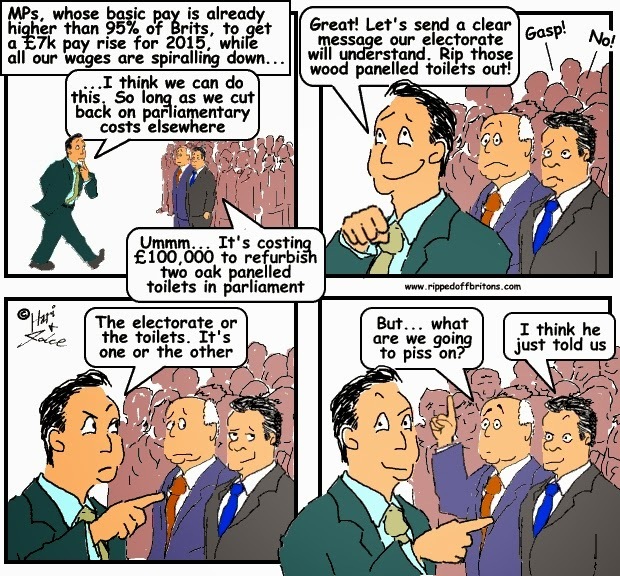 Graphs at a glance: Would we get better MPs if we paid them an extra £10k per annum? The data suggests we would actually get worse! MPs caught plotting ‘under the radar’ lobbying (on behalf of clients) for cash, are quick to use their mischiefs as an excuse to lobby (on behalf of themselves) for even more cash. 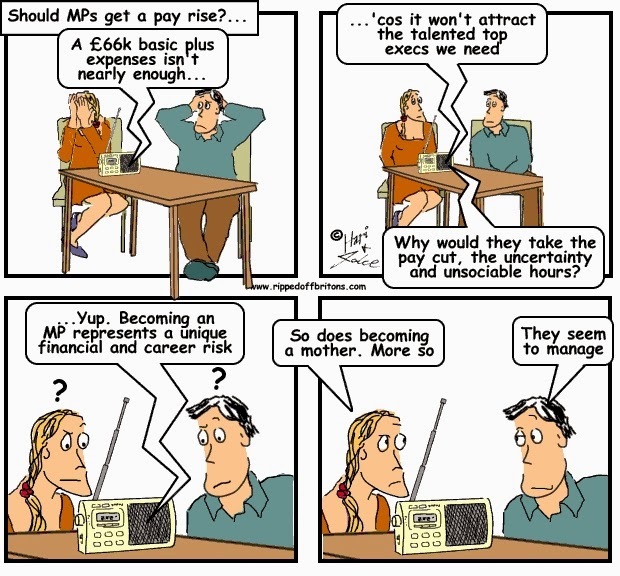 Some high powered people don't apply to be MPs because they don't want to take the pay cut. If they didn't have to take the pay cut, they could become high powered MPs. Let's put aside the copious evidence that the existing rewards of being an MP are sufficient to pull in a plentiful number of people who consider themselves 'high powered': for instance, Oxbridge graduates are just 1% of the population but made up 27% of all MPs, and over 1 in 3 Tory MPs, in the 2010-15 parliament. And lets overlook that there are many high powered MPs in Parliament who do the job for reasons of public service, regardless of the pay. Just as there are many high powered people with vocations to work in other relatively low paying professions. Instead focus on that group of people who refuse to be an MP unless the money can match that of their alternative employment. 1) a person's merit is measured by how much they earn. 2) the amount earned is only a measure of their merit within their profession, and not across professions. For example, if a banker earns more than a doctor that is not because the banker is 'better'. It is because the banker is in a higher paid profession than the doctor. Just as the thousandth ranked UK banker earned more than a million euros, while the thousandth ranked tennis player earned just a few thousand. Therefore using money as the measure, to get the 'best' we would want people paid in the top quarter (above the 75th percentile) of earnings for their profession. A look at wage figures from the Office for National Statistics (ONS) illustrates that by paying MPs more we would actually get a worse quality of MPs. Higher pay would tempt to Parliament the low performers of high paying professions (bankers; lawyers; lobbyists) thus pushing out high performers of lower paying professions (teachers; IT managers; nurses...). 50% earn less than the second blue block, the median. Evident from this is the current MP's salary, £66k, is already above the 75th percentile for postmen; nurses; teachers; IT managers; train drivers. So an MP's pay is already enough to get the top 25% talent from those professions. On the other hand, £66k is well below the pay of a 75th percentile lawyer, doctor, or company director. Even the MPs' 10% payrise in May 2015, to £74k, still wouldn't be enough to bring in the best money driven candidates from these high pay professions. a) Based on market driven supply & demand, there has never been a shortage of people wanting to be an MP. Whether they are any good is a matter of opinion. b) The statistics show the vast majority are sheep, voting according to the party line. The market price of lamb is about £5 a kilo. 1) Parliamentary candidates state in their election campaign literature how much money they need for it to be worth their while representing their constituents, signed off by the party leader. 2) The party leader is given a salary budget after the General Election of £67k times the number of MPs he or she gets. (ONS figures for 2013 show £67k p.a. is more than 94% of income tax paying Britons' pre-tax incomes). And it is left to the party leader to share this out. All done in full public view. Now that would be fun to watch! Another excellent article. 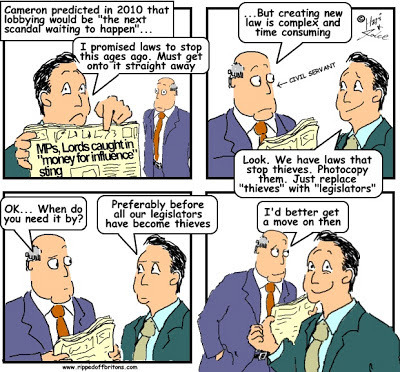 Cameron advised a pensions conference in 2009 that the first thing he would do in office would be to close the M.P. 's pension scheme to new members and introduce a defined contribution scheme (for new joiners). Clearly it was not within his power to decide this, but it is unfortunate that the Parliamentary Scheme appears to be the last in the queue for reform to make it fairer for tax payers and sustainable. Meanwhile, public sector employees elsewhere have endured stagnant pay and reduced pensions. It's a shame our leaders didn't lead by example.